A new approach to home heating uses a machine-learning model with years of forecasting data combined with information about the shape of the building to avoid wasting energy heating an already-hot house. According to researcher Fengqi You, the model can reduce a building’s energy usage by up to ten percent. “If the building itself could be ‘smart’ enough to know the weather conditions, or at least somehow understand a little bit more about the weather forecasting information, it could make better adjustments to automatically control its heating and cooling systems to save energy and make occupants more comfortable,” says You, a professor of Energy Systems Engineering at Cornell University. You and his team started with a machine-learning algorithm trained on years of meteorological data and its accuracy, so that the algorithm “knows” when the weather forecast is more likely to be right. It can detect uncertainty in temperature, precipitation, and sunlight, and predict differences in weather by specific location. The researchers then combined this predictor with a mathematical model that accounts for characteristics of the building itself: the size and shape of rooms, the size and shape of windows, and the materials that the building is made of. 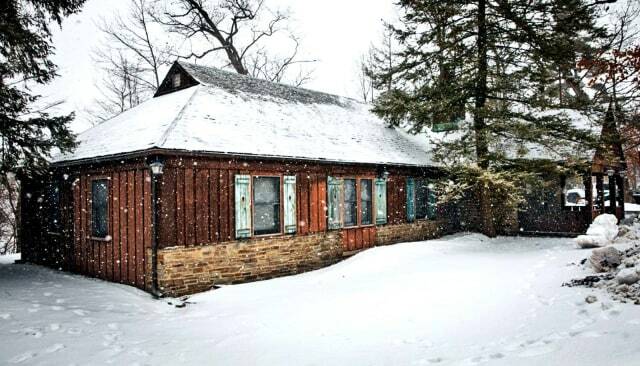 The research team conducted their case study in Toboggan Lodge, an almost 90-year-old building on Cornell’s campus. The building was chosen because it was small and simple enough that the researchers could modify the heating/cooling systems without too much difficulty. The model worked well for predicting when the house should be heated and cooled, and the researchers speculate that the model could also be used in areas like irrigation control in agriculture to predict precipitation. To read the original study, visit here.